Plot Summary: The Mortal Instrument Series resumes with the mysterious killings of Downworlder children. The big question on everyone’s minds is whether or not Valentine is behind all these attacks. When the Shadow Sword goes missing, things get worse for Jace. Since word got out that he’s Valentine’s son, he’s found himself in the middle of a tough Nephilim investigation. As for Clary, she’s got her hands full trying to find a cure for her mother’s mysterious coma while dealing with the fact that the boy she likes is actually her brother. Here’s a common problem for most YA sequels—they’re hardly as good as the first book. 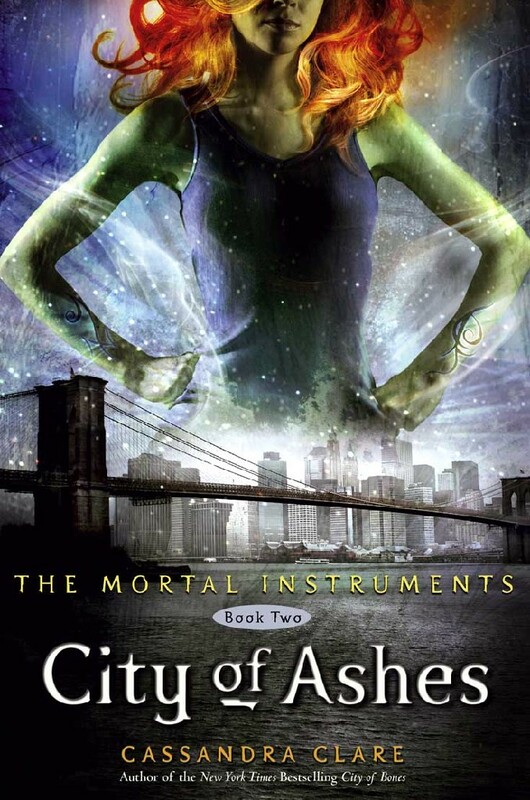 While I’d love to say that City of Ashes is an exception to this generalization, Cassandra Clare’s follow-up to City of Bones is a bit lackluster for me. It’s not the premise, it’s not the plot. As I mentioned in my last review, Clare has a really interesting story in her hands. Yes, you have the standards—the werewolves, the vamps, the faeries—but the world of the Nephilim seems pretty original to me. The problem lies in a number of the book’s characters. Though Clary appears marginally better (more mature) in City of Ashes, it seems that she’s mellowed only to amplify the massive communication breakdown between the adults and the teens in this book. We’re not talking about the basic misunderstandings between parents and their kids—we’re talking about life-changing and life-saving secrets being withheld, the lack of listening between both parties, and the overall daftness of 90 percent of the adults in the novel. It actually seems as if Luke is the only reasonable adult in the bunch. Even Jace comes off as a bit of a brat at the start of the story—and I actually like his character. All in all, I found this to be a bit of a hard read. The good news is that it does have a few redeeming factors that would make someone like me want to read on further: (1) you see a lot of growth when it comes to Simon’s character, (2) you have a solid plot line with a neat twist, and (3) better action scenes. Despite its character flaws, it’s also, still, a page-turner. So, if you’ve started City of Bones, and you liked it enough, I recommend going for City of Ashes. Otherwise, if you didn’t like the Mortal Instruments’ first book, you might not want to bother with this one.